An MIT-developed storage system for ‘big data’ dramatically speeds access to information by using multiple nodes; Rice University researchers time plasmon-generated electrons moving from nanorods to graphene. Big data today is usually stored on multiple hard disks on a number of machines across an Ethernet network, but this storage architecture considerably increases the time it takes to access the information. Researchers at MIT have developed a storage system for big-data analytics they claim can dramatically reduce the time it takes to access information. The system is based on a network of flash storage devices, which can quickly find random pieces of information from within a large dataset than other technologies. They typically can be randomly accessed in microseconds compared to the data “seek time” of hard disks, which is typically 4 to 12 milliseconds when accessing data from unpredictable locations on demand. Flash systems also are nonvolatile and do not lose any of the information they hold if the computer is switched off. In the MIT-developed storage system, known as BlueDBM (Blue Database Machine), each flash device is connected to a field-programmable gate array (FPGA) to create an individual node. The FPGAs are used not only to control the flash device, but are also capable of performing processing operations on the data itself, the team said. This means some processing can be done close to where the data is being stored so it doesn’t have to moved to be worked on. The team already built a four-node prototype network with five-year-old parts, and as a result is quite slow. They are now building a much faster 16-node prototype network, in which each node will operate at 3 gigabytes per second. The network will have a capacity of 16 to 32 terabytes. Plasmonic nanoparticles developed at Rice University are becoming known for their ability to turn light into heat, but how to use them to generate electricity is not nearly as well understood – but they are working on that, too. They suggest the extraction of electrons generated by surface plasmons in metal nanoparticles may be optimized. The researchers are endeavoring to understand the physics and started by measuring the speed and efficiency of excited “hot” electrons drawn from gold nanoparticles into a sheet of graphene. Instead of looking at a device that has many junctions, they looked at one particle at a time. 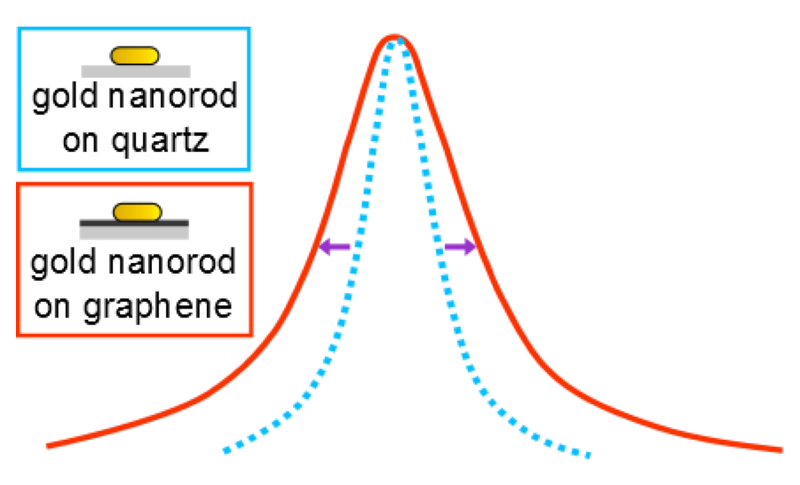 The excitation energy generated can also be channeled in other directions through the creation of hot electrons that can transfer to suitable acceptors, but how fast usable electrons flow from plasmonic nanoparticles is little understood. The plasmon generates hot electrons that decay very quickly, so intercepting them is a challenge, the researchers said. Their hope is to optimize the connection between the nanoparticles and graphene or another substrate, preferably a semiconductor that will allow them to trap hot electrons.